This one is goes out to the pale and interesting, all the sun haters, the hot under the collar and the aircon crew, the redheads and the regular sweaters. 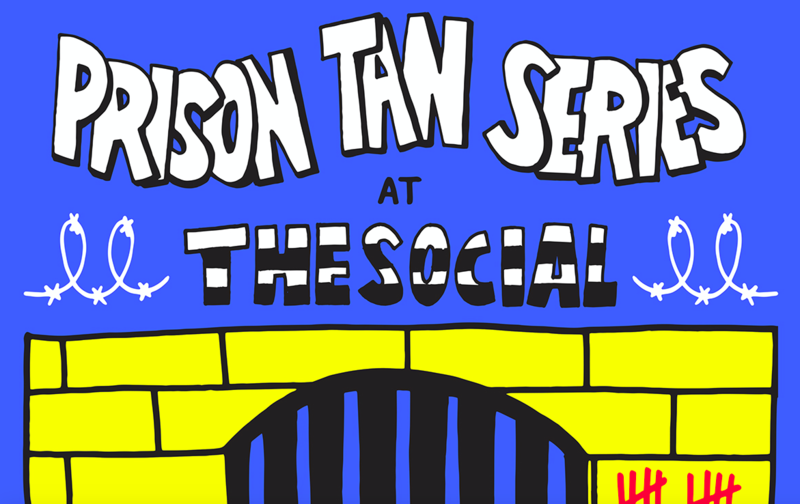 This year, like the last 18 before it, we’re working on our prison tans* here at The Social on Little Portland St.
Over the course of 13 air conditioned Fridays this June, July and August we’re teaming up with some of the greatest labels in the land (and Nashville!) and a load of bands and zines we love to run a weekly festival in the basement. Always free entry, 241 drinks before 8pm and the best live music, DJs and vibes anywhere in W1. Friday 27th July – SPEEDY WUNDERGROUND ‘YEAR 3’ LAUNCH with SCOTTI BRAINS + JW RIDLEY + DEWEY + SPEEDY WUNDERGROUND DJs + SPECIAL SURPRISES! More parties in July and August with Speedy Wunderground, Nadine Shah, Friendly Records, Bands On Film, Art is Hard, a CALM fundraiser and more! Launches Friday 1st June 2000 and finishes Friday 31st August at 0100 – every Friday night.